Everyone has that one item of clothing that you could live in, right? 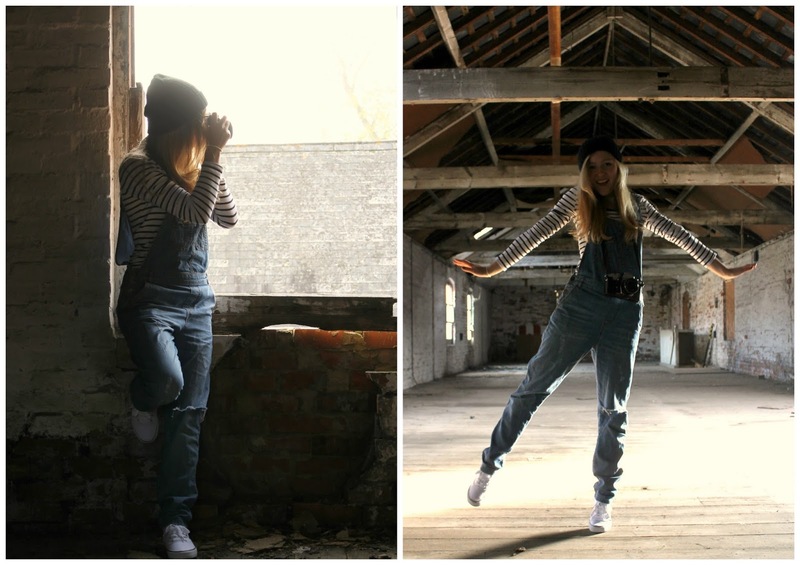 I've featured my dungarees a few times of my blog before, but they really are by comfiest outfit are just perfect for lounging around and exploring! In the summer I styled them with lace crop tops underneath, but as the weather has been getting colder I've been wearing them with monochrome layers, long sleeve tops and beanie hats for a laid back look. I didn't quite realise how much of a bargain hunter I am until I looked back over recent posts featuring quite a few second hand items and clothes. You can't go wrong with a plain black beanie, and the one in this outfit I bought this year- reduced to 20p from Primark! The shoes were also reduced in the Primark sale last week, and they were only £1, so that's definitely a great versatile buy. Originally I bought them with the view to dye and paint them, but surprisingly for me it turns out I actually really like them just plain (I don't think they'll stay white for very long though!). Dungarees: ASOS. Shoes, hat and top: all Primark. Hope you're having a lovely weekend too! Thank you so much! They're so comfy and versatile- I've had so much wear out of them haha!